Welcome to Blatz Fun Farm & Corn Maze! We have adventure trails for the whole family. 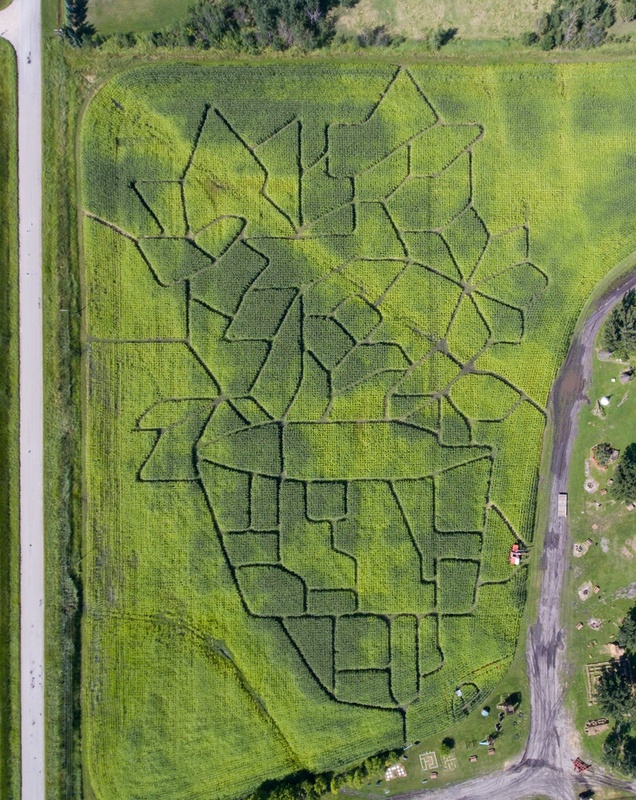 Come out and enjoy a day out in the corn maze and play a variety of fun activities. We're just 45 minutes South of Winnipeg. We welcome Birthday Parties, Church Groups, School Groups, Clubs, Family Gatherings & Sports Teams! This year's maze?! A FLOWER POT! Watch for these guys at the turn off from HWY #52! We're located on HWY #52 just west of Steinbach, Turn on Rd 29E, 3/4 mile south. Some GPS systems show the road as 'Blatz Road', however the street sign is Rd 29E.